Brand new SDKs for Apple client development, based on the Lightstreamer Unified Client API, have been added to the Lightstreamer distribution. The SDKs include version 2.0.0 of iOS, OS X, and tvOS libraries. This means tvOS is now officially supported too. The new versions include support for bitcode, as well as several improvements and fixes. Unified Client API for Android and Java SE have been finalized too. The SDKs include version 2.0.0 of the Android library and version 3.1.0 of the Java SE library. Several fixes and improvements have been added. To find out more about the new Python SDK, we recommend checking out this article. 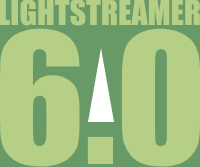 The Lightstreamer Server moves from version 6.0.1 to version 6.0.2. It contains a few fixes and improvements. Upgrading from 6.0.1 is quick and painless. We released an official Docker image for Lightsteamer Server on Docker Hub. Learn full details. A brand-new product entered the Lightstreamer family, called Lightstreamer JMS Extender. It connects to any third-party JMS server and makes Java Message Service available on the Web. Any HTML page running inside a web browser, as well as any Node.js application, instantly become JMS clients, able to publish and subscribe on JMS topics and queues. Therefore, Web pages can exchange messages with legacy JMS applications through the Internet. Learn more.